SW17 Upper Tooting Expert Dry & Steam Carpet Cleaners| RDA Cleaning & Maintenance Ltd. Looking for an affordable professional carpet cleaning company in Upper Tooting SW17? RDA Cleaning & Maintenance Ltd. now offers you high quality cleaning that can guarantee great results - full stain removal and disinfection. Our top-class carpet cleaning service is available also during weekends and bank holidays at no extra cost. Enjoy your home or office carpet clean & fresh today with a phone call to 020 3404 1646. Our customer support team will help you set up an appointment at a convenient time. We do key pick-ups and safe drop offs. Hire the best carpet cleaners Upper Tooting SW17 today! 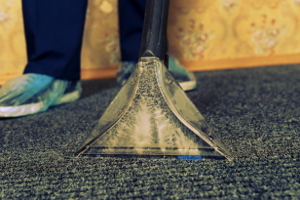 To ensure your safety and the best results possible, we keep a high standard of home & business carpet cleaning Upper Tooting SW17 and a good work ethic for all of our cleaners. It is mandatory that they pass 3 months training by Prochem on steam & dry carpet cleaning methods, machine and detergent use. During their first 6 months with us they are accompanied with a senior cleaner who would show them all it needs to become a cleaning expert. Once the job is carried out, they would give you free maintenance advice. Our carpet cleaners Upper Tooting SW17 would first hover the entire surface of the carpet. This way they remove the bigger contaminants that will otherwise be in the way. The next step is inspecting the fabrics of the carpet in order to determine exactly what kind of detergent must be used. When that is done the pre-treatment of all the high traffic areas, dirt patches and stains with the proper detergents is being done. After the pre-treatment, a special absorbing powder is being equally dispatched on the surface of the carpet. Then a special machine with lots of brushes is being used to scrub the powder deep into the carpet where it combines with the detergent, dirt and grime. Finally, the carpet is completely vacuumed and the procedure is complete. Every service that you will see in this list has its quality ensured by a team of professional carpet cleaners Upper Tooting SW17 with years of experience. Note that RDA Cleaning & Maintenance Ltd. uses only the best of machinery and detergents available on the market. Hire Us For An Expert Carpet Cleaning In Upper Tooting SW17 Now ! Reserve our efficient carpet cleaning service in Upper Tooting SW17 and have your carpet fully cleaned today. Call 020 3404 1646 or get a free online quote. No deposit required. Also, if you book another service simultaneously you can get a discount of up to 20%!